The thought of sparkling flurries falling through the fragrant evergreens always gets me at this time of year. 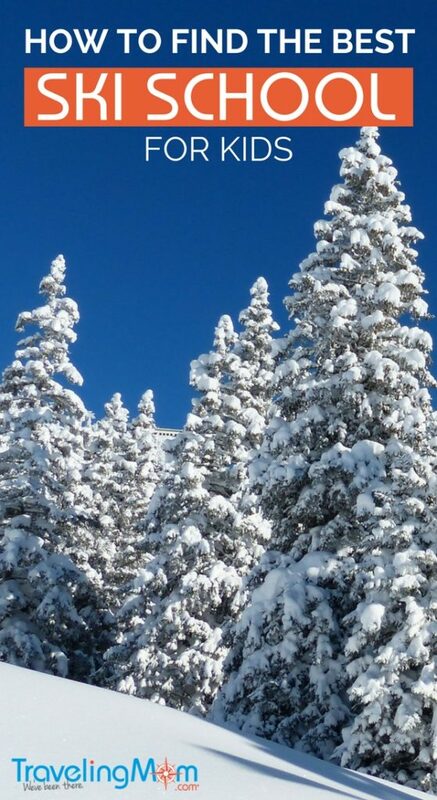 I pine away for a winter getaway with my family, enjoying the exhilaration of a perfect run at my favorite ski resort. My family started a family ski trip tradition years ago, knowing that families that ski together will travel together even after the kids hit college. My best advice: start young and keep going. Taking the kids skiing for the first time seems monumental. I know, I’ve been there. 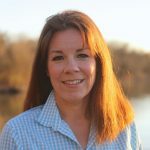 I’m here to help you find a family-friendly ski resort equipped with the right ski school, even for the preschoolers in the car. When I started skiing in my twenties, it was easy. I picked out the perfect outfit, rented some skis, took a lesson and then drank a cocktail. My glamorous ski days started late and ended early. Then I became a mom and everything got more complicated. 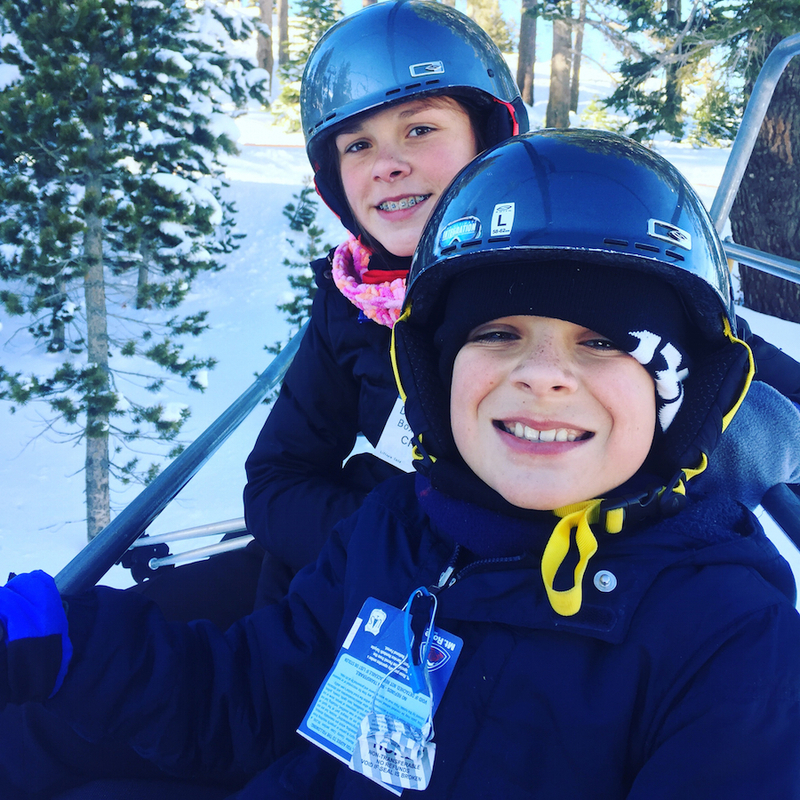 My kids, now 9, 12 and 14, started on the slopes when the youngest hit two and the oldest was seven. So where do you start if you have never skied before as a family? I’ll pass on some pointers from a Ski Mom. Before I look at the lessons, I find a family-friendly ski resort. The kind that truly likes and caters to families. To find that, I look at the location of the ski resort. I prefer to drive so I don’t have to limit the luggage. I have an all-wheel drive SUV if it starts to snow. If we fly, I check the gear. That gets expensive and it’s a hassle. Some skiers prefer ski-in, ski-out resorts; they look luxurious. What I didn’t realize is I parked miles away and lugged my gear the whole trip. Unless the resort offers to haul the gear or a mute husband gets invented, this is a fight waiting to happen. I also check out the location of the ski resort’s parking lot if we are skiing for the day. Shuttles are a hassle for families. I would prefer to park in front of the resort. Ski resort gondolas that take me to their ski area tend to annoy me. I never grab everything I need in one trip so I always have to trek back to the SUV. I prefer to stay in a condo or equipped resort residence, like the ones at Vacatia.com. It’s a necessity to have a dryer to warm up clothes or dry wet gloves. Having a kitchen for the kids saves time and money for breakfast. To save even more money, I pack my crock pot for a budget-friendly dinner after a day of skiing. We leave the slopes and head back to a room where a warm meal is waiting. I look at the ski resort’s trail map located on the resort’s website and count how many green runs they have. This information is usually listed as a percentage of the runs based on color–green, blue, and black. Green – The easiest and great for Mom and the kids. 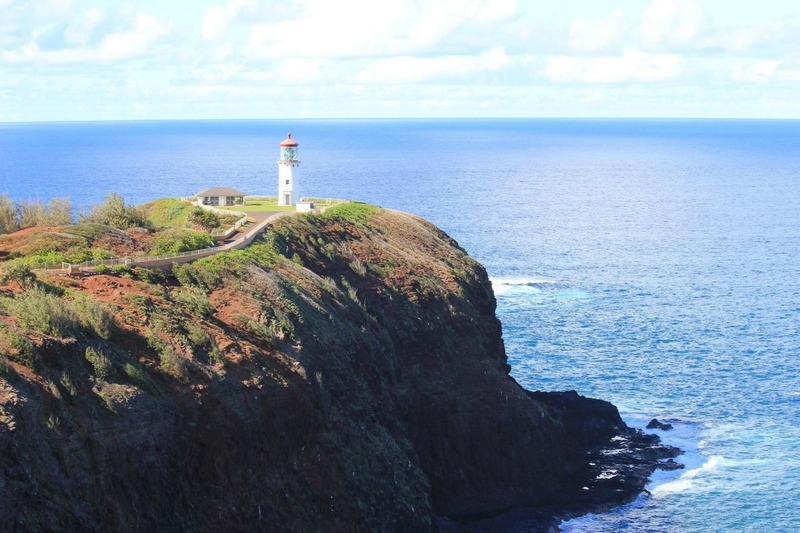 Blue – Dad will head here no matter what. Black – DANGER! The people strapped to a Ski Patrol stretcher started their day on a black run. Next, look for beginner ski lifts. They should be labeled. Getting on and off an elevated ski lift is where most falls happen. Kids do fall off of elevated ski lifts. I prefer resorts that use conveyor-belt type lifts for beginners. Conveyor or Magic Carpet lifts will keep the kids on the ground and not dangling from a wire like a trapeze. I make sure the beginner area is available to all skiers and not restricted to the ski school students. This is an excellent area to practice with the kids after their lessons. My kids love to race Mom down the beginner runs. Next I look at the quality of the green runs. Are they all wide open areas at the bottom of more difficult terrain? I have found that more advanced skiers fly through the slow areas on their way to the lift line. If all of the green runs seem similar and lack different routes, the skiing gets boring. I prefer resorts that have green skiing areas with both wide open spaces and narrow runs through the trees. My kids like to ride a run a couple of times then try another route. The last thing on my list is the ski resort elevation. I have a kid who gets elevation sickness over 9,000 feet. Kids can be more sensitive and get headaches or worse. We ski at resorts at lower elevations or he gets sick. 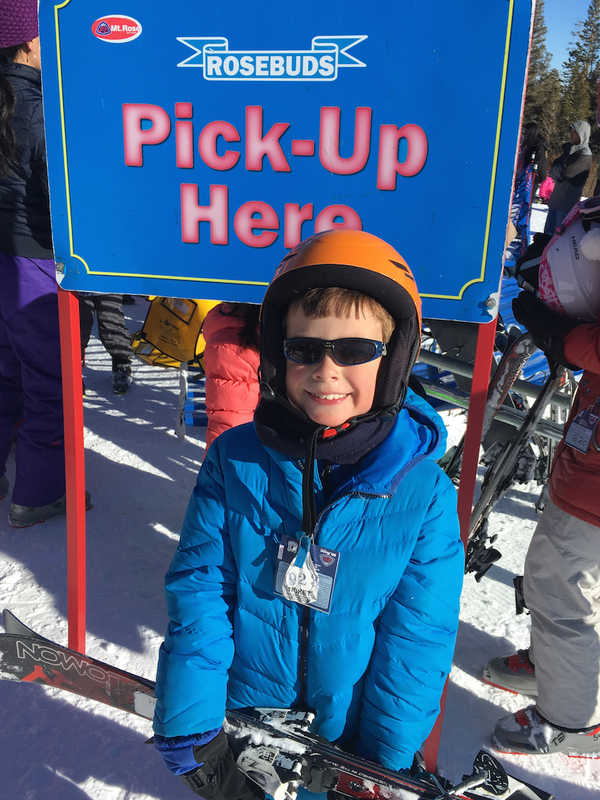 When to Start the Kids Skiing? I started my three kids skiing at different ages and I don’t think it really matters. They all seem to pick it up quickly with lessons. If all your kids are under 3, I might wait a few years to try skiing as a family. 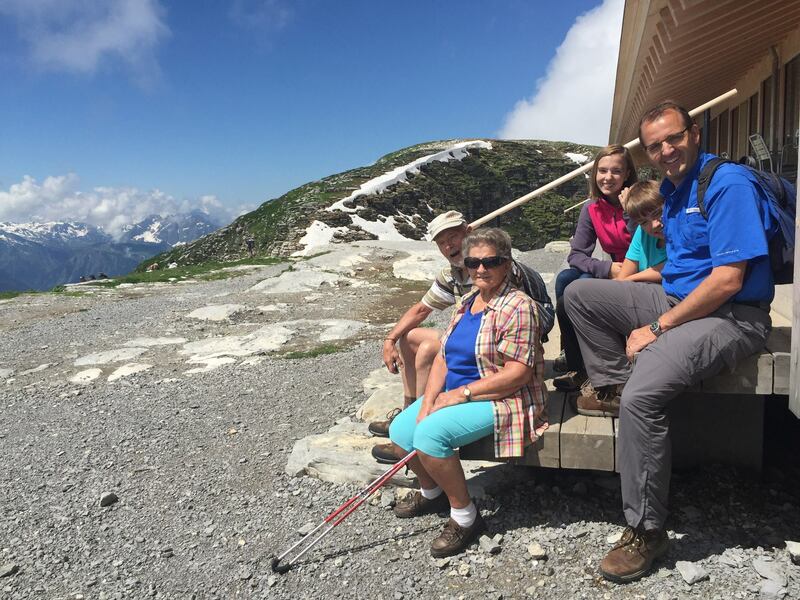 Ski resorts are not stroller-friendly – too many stairs and icy patches. And finding a ski resort that offers lessons to kids under 3 is a challenge. My kids, 9, 12 and 14-year-old, started when the youngest was two and the oldest was seven. The first year, my baby stayed at the on-site daycare. He started lessons when he hit three. Ski School is a must for kids under 8, unless you’re a pro. Even then, most parents can’t teach their kids. All the ski slope meltdowns happen when parents try to teach their kids. All the instructors I’ve met through the years are great with kids. They paced the program according to ability of my kids. They were patient with missing gloves and potty breaks. I prefer a ski school in a separate fenced-off area with its own conveyor-belt or magic carpet lift. I want my younger kids in an area away from the older kids with different needs and skills. If the ski school offers equipment rental, use it. The instructor will fit the kids and they’re pros at getting little feet into ski boots, which is more challenging than it sounds. And then I don’t have to lug more gear. The all-day programs start around 8 or 9 a.m. and last until 3 p.m. Most programs offer lunch (usually pizza or pasta) and snacks sprinkled during the day. Many ski schools offer a morning lesson with practice, then lunch followed by an afternoon lesson and practice. I like to stop by and look in on my kids while they practice. If the ski school frowns on this, it’s probably not the best fit. At the end of the day, I take the opportunity to practice with my kids. And sometimes they let Mom win when we race down the beginner runs. Babies? Some resorts offer on-site day care, a nice amenity for parents who want to ski with a baby in tow. 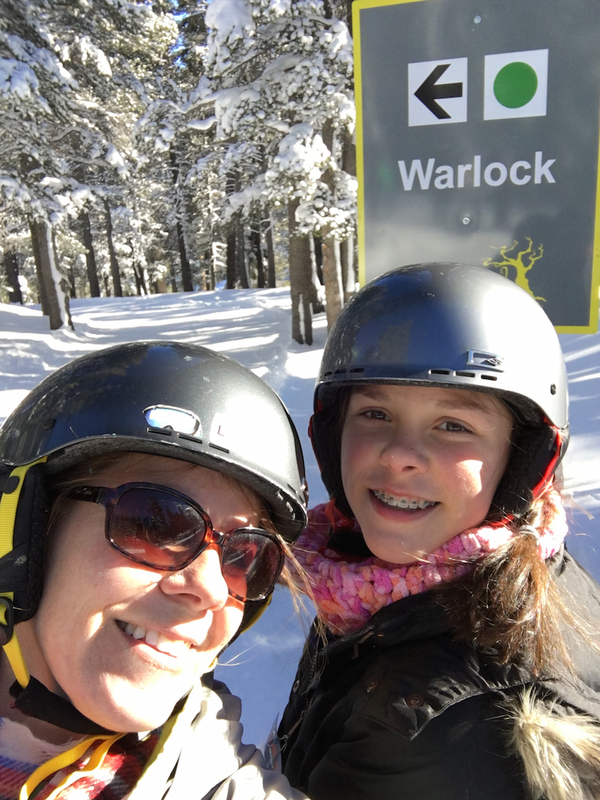 Considering ski school for kids on your next ski vacation? Don’t miss the insider tips that will help you pick the perfect ski school experience for young children. 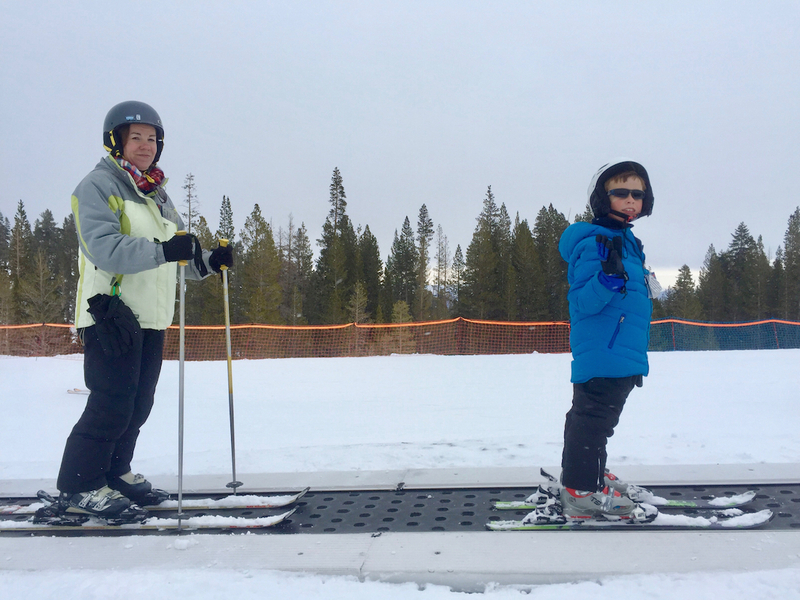 For the youngest skiers, ski lessons stress fun. If kids start to cry, they go inside and play where it’s warm. Preschoolers will learn the basics, like stopping and maybe some turns. Instructors jog beside them yelling Pizza! and French Fries! Pizza for stopping and French fries for keeping the skis parallel. Most schools keep the preschoolers (ages 3 to 5 or 6) corralled in a separate area. I like this and again, look for the magic carpet lifts. Don’t expect your preschooler to race down the mountain after one lesson. Skiing takes time to learn and years to develop. 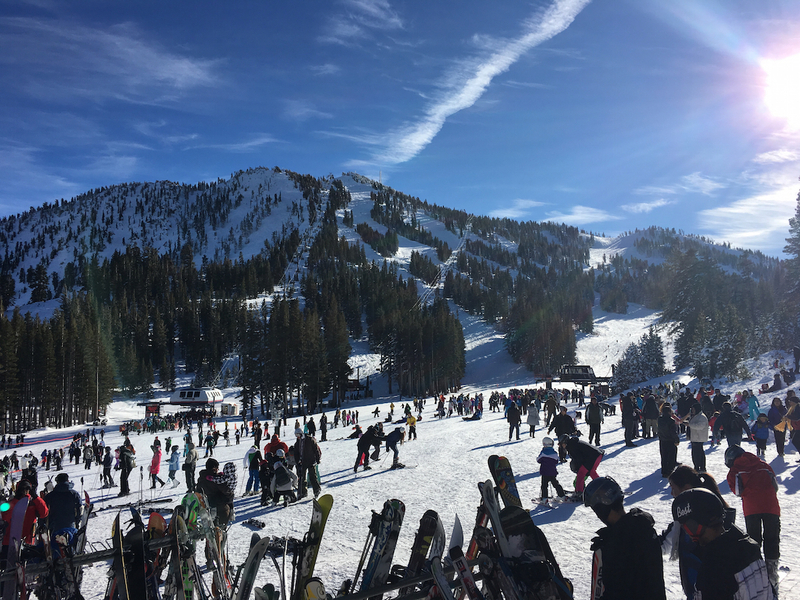 The biggest challenge is to keep it fun and safe so your family can continue your own ski trip tradition. Finding snowboarding lessons for kids under five can be difficult. Most resorts want to start kids with skiing first. A few resorts do offer it, so research ahead of time if you prefer snowboarding. My family is blended: Mom and two kids ski and Dad and the oldest boy snowboard. Typically, I ride the lifts with my skiers and Dad heads up with the boarder. Mixing skiers and boarders gets complicated on the lifts when disembarking. 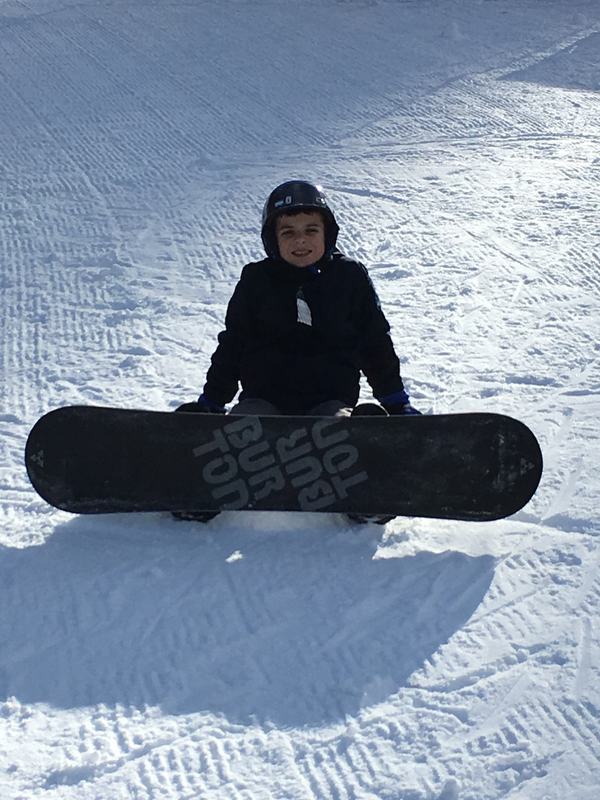 For the older kids (ages 7 or 8 and up), skip the ski school and sign them up for a beginner ski/snowboard package that includes classes, equipment and lift tickets for the day. The earlier the class the better, so kids can hit the slopes and practice after their lesson. If you plan to learn to ski or snowboard as a family, then look at a private or semi-private lessons. Ski resorts assign the most seasoned instructors to the private lessons. This post was sponsored by Vacatia.com. Vacatia offers resort residence properties at ski locations such as Breckenridge, Steamboat Springs and Aspen/Snowmass, all of which offer ski lessons for preschoolers. Reservations are required during Holiday Break. Ski School sells out. Kids should be required to wear helmets. If not, turn around, as this resort doesn’t put safety first. Remember beginner runs are not the same as GREEN runs. Just because it’s labeled green doesn’t mean your kids are ready to cruise down it after one lesson. 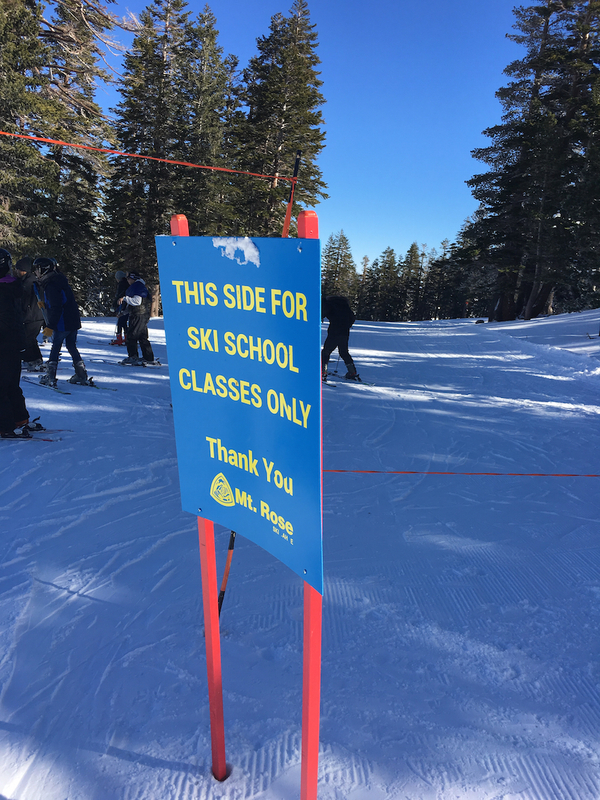 Some ski schools offer half-day programs but not during school holidays. 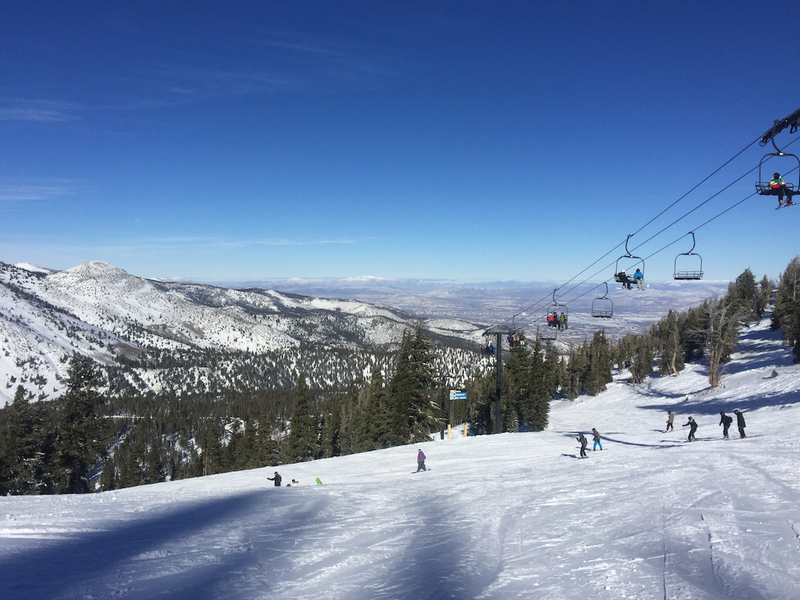 The ski resorts prefer full-day programs over holiday breaks. Kids learn to ski and snowboard faster than adults. Remember to sunscreen everyone’s face and lip balm in the pocket. Pack some high energy snacks, like dried fruit, nuts, protein bars. Remember to hydrate, put a bottle of water in jacket pockets and toast the mountain before every run. Grab your giant blue IKEA bag, if you have one, to lug gear. Can’t be beat for ski boots and helmets. Give yourself lots of time in the morning. Skiing requires early morning wake-up times to avoid lines.